The complete refit of a commercial property to convert a wallpaper and home wear shop into a modern stylish coffee shop and café. There were challenges to this rewarding project not least the timescale, all building and decorating work was completed in 10 weeks and within budget constraints. 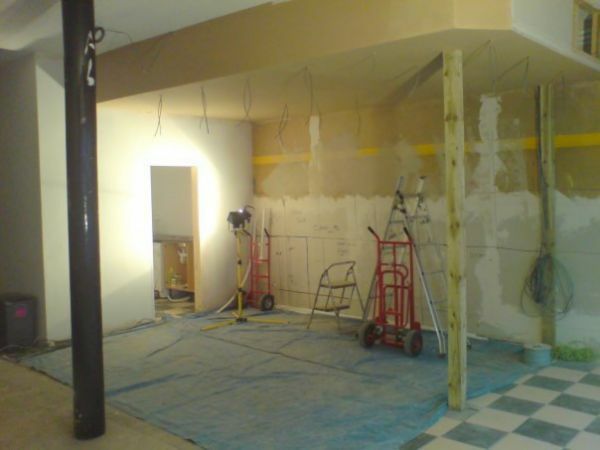 After the initial strip out of the property work quickly began on the erection of stud walls and suspended ceilings to form the kitchen and service bar areas of the premises. These were then first fixed for electrical wiring and plumbing to service the appliances and catering equipment for the kitchen and customer service areas. Next was the dry lining and plastering of the premises including WC facilities. 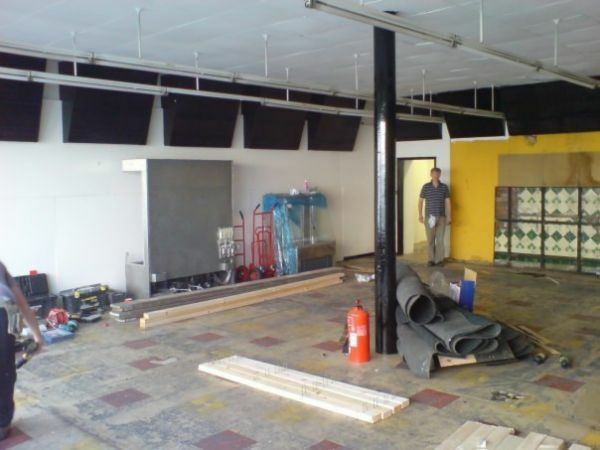 At this stage the café really began to take shape, the photo to the right shows the kitchen area to the rear, with the customer service bar in front. Work steamed ahead with the wall and floor tiling of kitchen, bar and WC, along with the manufacture of the custom made bar area. The kitchen was soon fitted out with units and appliances, the bar area installed in position with electrical and plumbing connections made. After approval from building control and food hygiene authorities we all knew we were nearing completion and that we had the foundations for a real success. 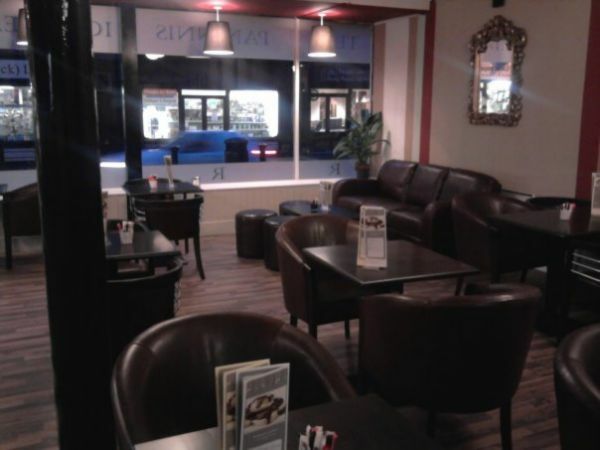 Final stages of the project were the laying of over 70m2 of laminate flooring for the customer seating area whilst painting and decorating continued at pace throughout the premises. 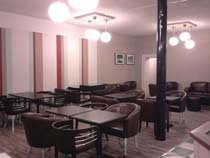 In the gallery below you can see the end results of this exciting project at Refresh Coffee Shop, Tredegar, Gwent. 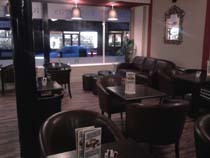 For further information about Refresh Coffee visit www.refreshcoffee.info or call 01495 725 823.